"Religious and Scientific Perspectives on the Future of Life" will be held at Candler on Saturday, Feb. 17, from 8:30 a.m. to 6:00 p.m and is a collaborative partnership between the Candler School of Theology and Georgia Tech's Ivan Allen College of Liberal Arts. The future of life on earth and beyond will be the focus of the fourth annual symposium hosted by the Leadership and Multifaith Program (LAMP), a collaborative partnership between Emory’s Candler School of Theology and Georgia Tech’s Ivan Allen College of Liberal Arts. “Religious and Scientific Perspectives on the Future of Life” will be held at Candler on Saturday, Feb. 17, from 8:30 a.m. to 6:00 p.m. The event is free and open to the public, but registration is required by Feb. 6 at 5 p.m. Register here. The symposium aims to generate a multifaith discussion among scholars, clergy, community leaders and students about science, spirituality and the future of life on earth and elsewhere. Speakers will address the theme from diverse perspectives, including cognitive science, religious studies, ecology, ecotheology, ethics and astrobiology. 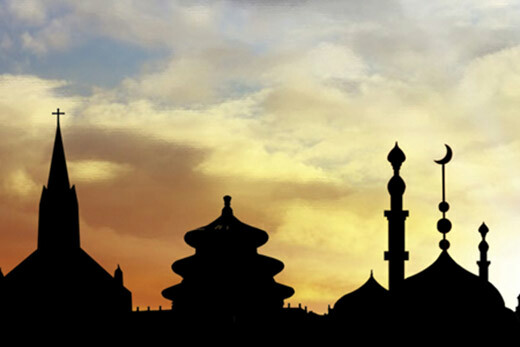 “This year’s symposium capitalizes on the richness of this collaborative initiative by bringing scientists from both institutions into conversation with scholars and community members from multiple faith traditions,” says LAMP director Deanna F. Womack, assistant professor of history of religions and multifaith relations at Candler. The morning keynote will be followed by three panel sessions: “Life of the Mind-Body Spirit,” “Life Here on Earth,” and “Life in the Cosmos.” Presenters from Emory, Georgia Tech, and other institutions will speak from diverse disciplinary perspectives, including cognitive science, religious studies, ecology, ecotheology, ethics, and astrobiology. Candler's Steven J. Kraftchick, professor in the practice of New Testament interpretation, will offer remarks during the third session, "Life in the Cosmos and Where We Go from Here." A round table discussion on “Science for Seminaries” will take place during the lunch hour, and a reception from 5:30 to 6:00 p.m. will conclude the day. “While multifaith understanding is essential for our daily lives in Atlanta and in American society at large, the future of life itself may also depend on sustaining a dialogue between science and religion,” Womack says. This year’s symposium was organized in partnership with Georgia Tech Astrobiology and is co-sponsored by Columbia Theological Seminary.